As much as I agree with arnoud there are tons of workout, but as I adarq said in the sprint thread that simplicity is key, all you need are the basic strength workouts to develop strength, then power workouts to transfer that strength to power by doing plyometric or explosive workouts. But avoid being creative and doing any fancy workouts. I mentioned other exercises, not fancy workouts. Trap bar deadlifts, bulgarian split squats, box squats, half squats all achieve the same. ^ he also uses the secret helicopter armswing that adds inches to your jump. Very nice, but this wasn't 100% SVJ, he took a tiny hop before the jump which helped propel him a bit higher imo. I'm 36. Still jumping as high as when I was 25. Only difference is that I'm a lot heavier, and need to drop a lot of fat (I was heavy squatting in the Rippetoe era). Don't worry about age. Keep training, but don't force it, it will only lead to injury, I've been down that road. As long as you keep training, vert will improve. But take your time! Also, in my humble opinion, full squatting isn't the only way to jump really high. There are tons of other exercises to achieve the same. The WGF Forum was even worse. That's where that LDISO fake coach promoted 5 minute isos all day long. One day we'll probably uncover a plot by Putin to ruin American athletics, and his bread & butter: variations of isometrics & snakeoil salesmen. I'm curious to see what Joel does with "overthehilldunker". The first video he dropped, looked very inno, which worries me a bit. But we'll see.. Hoping for success obviously. Fancy workouts are good too when you need them. You almost certainly don't need them yet, though. some advanced fancy stuff like drops, high box depth jumps, single leg bounds, banded/chain accommodating resistance, can be very effective. Some less fancy stuff like low level reactive work can be very effective also, such as stiff leg pogos, MR tuck jumps, double leg bounds, line hop drills, med ball throw variations, plate swings, etc. most people wouldn't even consider that fancy, because people are just inundated with fanciness everywhere. But to me, even those things fit somewhere in the fancy category. The basics for athletes, runners, jumpers, and sprinters are sport specific skill training (if applicable), basic lifts/strength exercises (bilateral lower body push (back/front squat), unilateral lower body push (lunge/bss/stepup), upper body push (bench/overhead press/dips), upper body pull (rows/pullups-chins-etc), and some assistance rdl/curl/calf raises etc), cardio, running, sprinting, jumping, and focusing on things like body composition, nutrition, sleep, progress tracking, nutrition timing, training timing, flexibility/mobility etc.. so, just some fundamentals and learning how to put them together for ones self & ones life constrained to things like school, job, family, responsibilities etc. A good coach can definitely help, but most of us on forums like this don't have a coach and probably don't want one, there's a "figuring it out" aspect that lots of people enjoy. Also, obviously there is room for adjustment and inclusion/exclusion of some things in the exercise department, specific to ones sport/goals etc, but to dive into routines which comprise a majority of "fancy stuff" without having a good understanding of improving these basics, is a major problem IMHO. so when I speak about fancy stuff, it's pretty much anything that falls out of that tiny core framework. The thing is, that core framework is so important. People want to rush into the "fancy stuff" without addressing their sleep patterns, nutrition, timing, core lifts, etc. This is where S&C falls apart in my opinion. That core framework has so much potential for growth it's incredible. Really drilling down on it and figuring out how things fit together, per individual, is just so incredibly important. Everyone wants to do the fun stuff, but IMHO, from what i've seen and experienced, it's the mastery of the mundane which gets you the real results. Monotony, mundane, boring, those are important attributes of good routines it seems. edit: I'm guilty of many of the things I mentioned above!! I've also gotten it "right" a few times, and when I get it right, it's usually pretty simple (definitely monotonous) with nearly everything falling in to place. dno went off on some tangents. Just had the worst possible workout possible. Got 7 hours of sleep, went to the gym. Felt tight. Tried to loosen up for 1 hour. 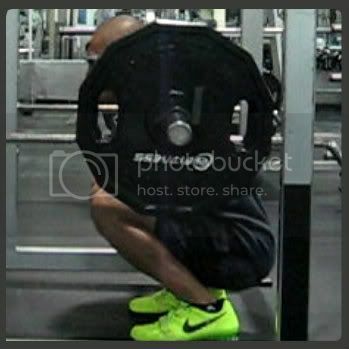 Could not even full squat 135, 225 felt like 500 lb. I think I gain pure fat on bulks and lose pure muscle on cuts. In 2 years I will be nothing but a blob of fat. 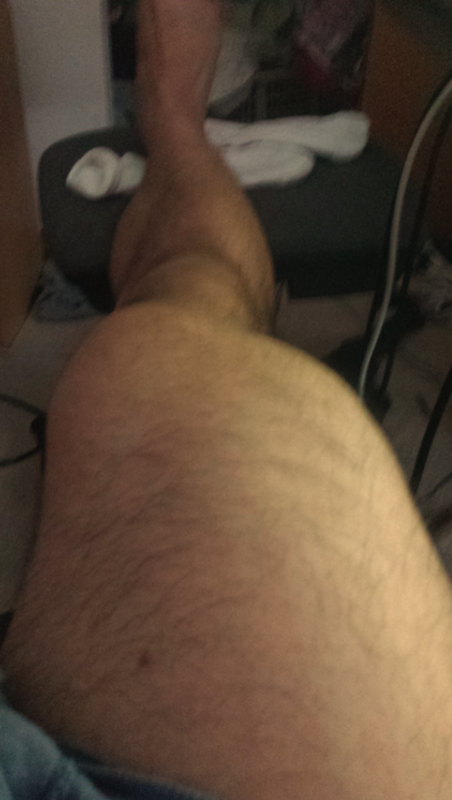 All this quad muscle I think is SLACK, just there, not doing anything. I try not to be a muscle builder, but all i've done is built leg muscles that do NOTHING. I should be able to lift at least 405, but nope, not even 225 imo. Have to pay for available info... nah. you just copped to spending $30,000 on equipment and whatever else. those two books together are excellent and cost less than $100. yes most of the info in them is available online for free but you have to search for it and put it together yourself. the whole point of lyle's books is to help people lose weight without losing strength, or to gain weight without getting overfat. so while your experience is what it is, you don't have to lose all strength while cutting quickly or slowly. I must say, the $30k point, is quite epic. Also FWIW, ya Lyle has tons of free information out there, so if FDL checks out some of those resources and likes what he sees, those books might be a good purchase. I personally don't follow Lyle much so, no real opinion on his stuff.